I started a blog when i was 14 for a strange reason. I had a friend who had been writing a diary for as long as i had known her and she said it was nice to look back on things that had happened, dreams she had etc and the idea really appealed to me but because i was still at school and did enough writing on a daily basis with never ending coursework, i thought typing would be a good alternative. So i started a little blogging journal and i really enjoyed it but then i had my daughter in 2003 and i just didn't have the time. Then 9 years later, i met and fell in love with Carl but i also had to accept his love of fishing which took up the majority of his weekends. 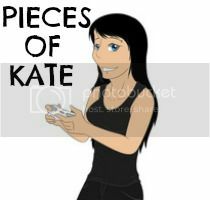 I no longer danced and i thought to myself 'i want a hobby' and then i remembered my little blog all those years ago and in October 2013, i created Pieces Of Kate and the rest as they say is history. The best advice i would give is to not compare yourself to other bloggers. Blogging is like learning to drive a car, we all get in it for the first time and we don't have a clue what we're doing. But in time and with a little guidance, we start to learn and improve and before you know it, you're a natural. There are too many bloggers out there that rip off others by stealing content, design and sometimes even word for word posts but you should never do this. If you want any kind of respect from the blogging world, be yourself and don't immitate others. You may see a blogger who has a really big following and is working with brands at every opportunity but they didn't get to where they are overnight, it's hard work and we all have to start at the bottom. Keep your expectations at a minimum because then the rewards you get from your hard work make all of it worthwhile. I have three that have been at the forefront of my mind for a long time now. The first would be anything to do with shoes. My shoe obsession is well known and documented so having the opportunity to work with a shoe brand would be a dream come true. The second is something to do with Alice in Wonderland, again this is my obsession shining through and thirdly, i would love to be involved in a campaign around a Leukemia charity. My best friend Sully was diagnosed with Acute Myeloid Leukemia (AML) and it took his life 26 months later. I watched him suffer knowing there was practically nothing i could do to help him so i would love to be involved in a campaign that could raise awareness and money to find a cure. I guess i have the same plan as every other blogger and that's to just keep on improving. We all want to be up there with the big names and be invited to red carpet events and have the opportunity to work with some really big brands but frankly, all i want to do is keep on improving my content and creating posts my readers enjoy. I absolutely detest anything competitive. School sports days are the worst but rankings are a close second. A bloggers worth should not be based on rankings alone and i can't stand companies or blogging platforms that expect you to have sky high rankings before the work with you. I don't pay any interest to where i rank in the scheme of things because i am not in a competition. 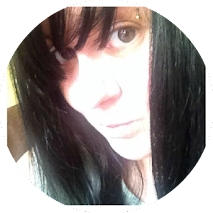 I blog because i enjoy it and i will not be dictated to because of a random set of numbers. Thanks again to Danielle for tagging me to do this, i'm tagging my girls to give it a go themselves. Now streaming movies on the internet is completely free and very simple on New Movies on https://fmoviesonline.org/watch/mother-2016.html. watching a whole franchise of films is the ideal method to devote a weekend, but the order to watch movies on putlockernet.com/ is sometimes not the easiest. No signup is needed just choose the category and click the movie to watch online on yes movie. Downloading specialty movies on Watch Full 47 Meters Down Free - 123Movies is an easy procedure.